This 24 inch long Double Wall Stove Pipe Length has a 6 inch inner diameter. The Black Pipe has a Stainless Steel inner liner and 0.25 inch air space insulation for maximum safety and performance. Clearance to combustibles is only 6 inches (vs 18 inches). This Telescopic Double Wall Stove Pipe Length adjusts from 38 inches to 68 inches long and has a 8 inch inner diameter. This pipe is most commonly used as the vertical section from the top of the Wood Stove. The Black Pipe has a Stainless Steel inner liner. This Adjustable Double Wall Stove Pipe Length adjusts from 12 inches to 18 inches long and has a 7 inch inner diameter. The Black Pipe has a Stainless Steel inner liner and 0.25 inch air space insulation for maximum safety and performance. Clearance to combustibles is only 6 inches (vs. 18 inches). 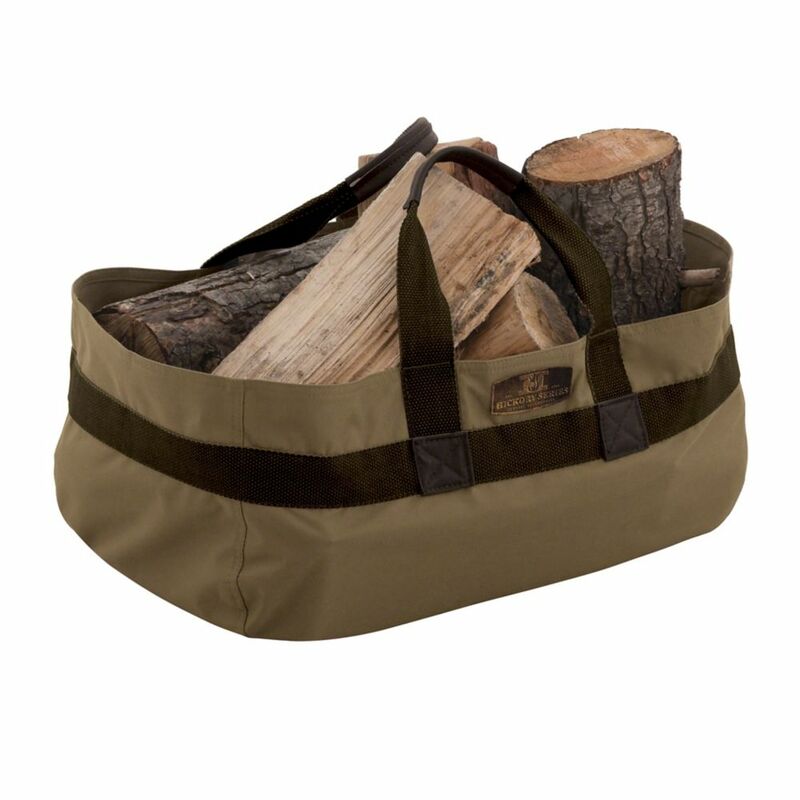 Hickory Jumbo Log Carrier The Hickory Jumbo Log Carrier from Classic Accessories is made from durable Weather10 material featuring a rugged fabric outer layer with a laminated waterproof and wipe-clean inside coating. Weather Leather trim looks authentic but wont rot. Hickory Jumbo Log Carrier is rated 4.5 out of 5 by 19. Rated 5 out of 5 by David from Excellent quality! Plenty big enough.... Excellent quality! Plenty big enough. Rated 5 out of 5 by Darrell from Works great! Got this for Xmas, and what a great item. Holds 2 arm loads, so only 1/2 the trips to the wood pile. I use it for birch, tamarack, jack pine and poplar and the weigh with a full bag is acceptable for me. Seems to be very well built, and looks good enough to leave full by the fireplace in the living room. Blends right into the decor pretty much. I am ordering a couple more, they are that good! Rated 5 out of 5 by cadon from it was as advertised. very sturdy and yet flexible. handles that fit the hand. not too small. gre... it was as advertised. very sturdy and yet flexible. handles that fit the hand. not too small. great product. Rated 5 out of 5 by John from I am very pleased with the log carrier. The size lets you carry several different lengths of fire... I am very pleased with the log carrier. The size lets you carry several different lengths of firewood because you can "fold" the ends down to let the longer pieces stick out. Capacity is up to you so don't load up too much. It will hold a lot of wood. I would recomend it to anyone.